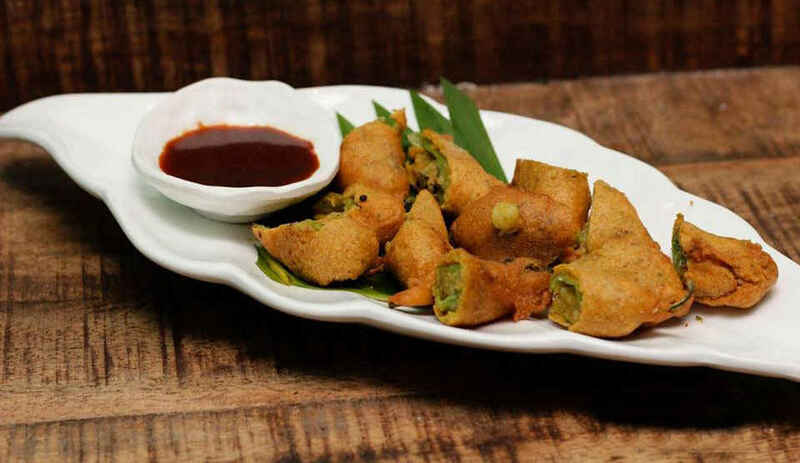 Delhi has a plethora of options for its die-hard foodies, where many of us can go and give our taste buds the delight they've been carving for. But it's not everyday that we get to sit in a restaurant, and instead of falling in love with just the ambiance and the food, you get enamoured by the patriotic spirit that lies dormant within every one of us! 38 Barracks in CP is the place for all of you food lovers out there to munch on your favourite dishes, have an amazing time, and all through this, re-awaken the respect and admiration that you have for your nation. The name of the place is the biggest clue you could get about the restaurant’s theme: it's an Army-themed restaurant, filled with all the ardour an individual can harbour for India and its formidable Army. We're all very proud of our nation’s Army, our faujis have always done an admirable job protecting us, and 38 Barrack appears to be reciprocating that love through its theme. As soon as you reach the place, you're greeted by a huge, and profoundly affable waiting room (well, sort of) and from there, you can easily notice the numerous wall hangings, ammunition, and artefacts, that exalt our Army brilliantly. The decorations include war-like ornamentations, and to top it all, the dominant hues of green and dark shades just fortify the entire experience. The staff is extremely courteous, and adept at their job. We had no complaints and the live music was just a delight to listen to! So here's all about our patriotic sojourn, people! While we were still swooning over the decoration and the patriotic feel of the place, our food reached us, and needless to say, it was one of the most delicious lunch experiences ever! 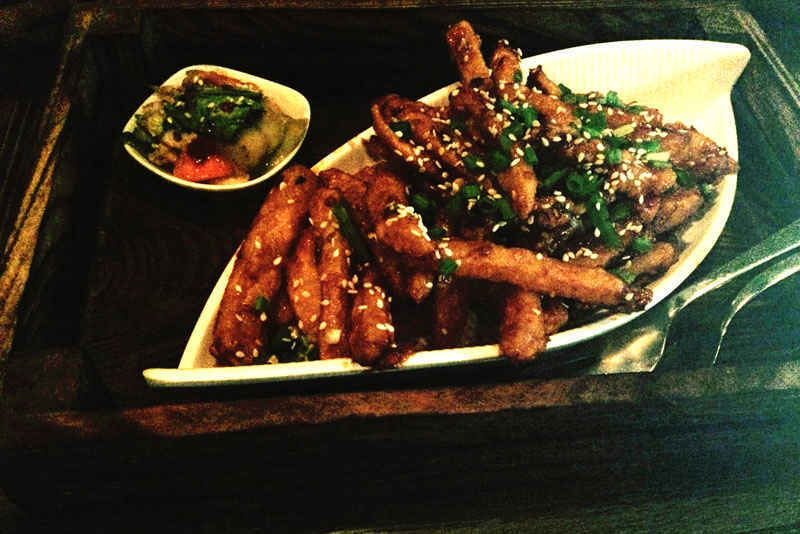 Their Honey Chili Potatoes were in a word - scrumptious. They had the perfect amount of honey, which did not make them too sweet neither too bland; the spiciness complemented the sweetness of the honey quite well; and the potato strips were cut in appropriate sizes, and cooked well enough to give them the ideal amount of crunchiness. The quantity was more than enough to suffice a party of three, maybe even four. Believe you us, do give them a try whenever you visit this place! Okay so the name is a mouthful; but trust us, so is the dish! This dish was the highlight of our experience (yes, we just said that). 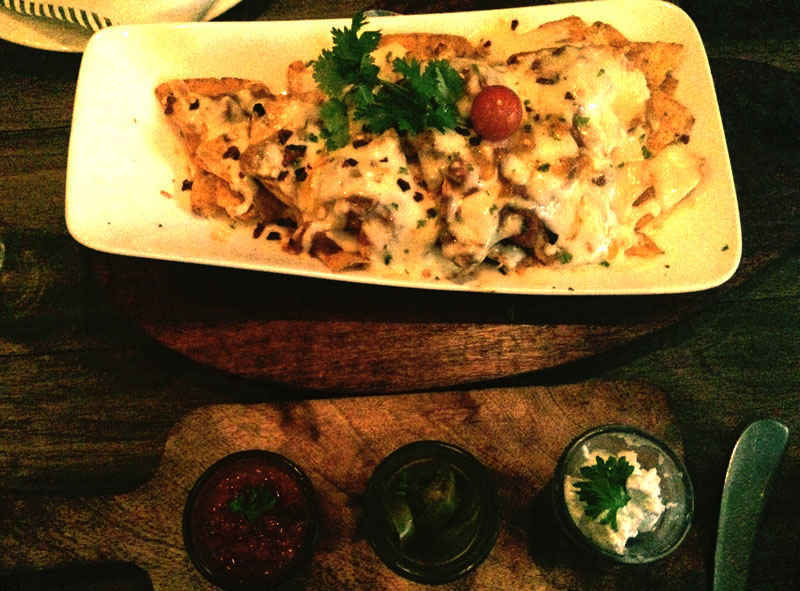 The nachos were perfect - crunchy, ample in quantity, and mixed perfectly well with different sauces and just the right amount of cheese. In addition to this, the dish was complemented with spicy salsa sauce, pickled jalapenos and sour cream; and you must try these if you really want to taste the brilliance of this item. Yes, we're still in love with them and still drooling! It’s the middle of the day, and raining outside; you have delicious food items in front of you and an ambience that makes you want to get some heat, so what do you do? You go for tea, and so we did! 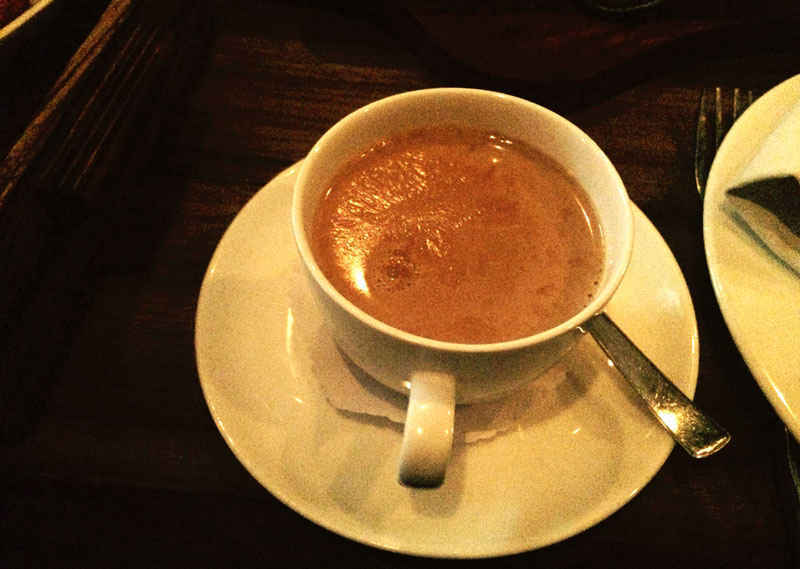 The Masala Chai was an interesting addition to our foodie bonanza, because of its refreshing taste and piping hot temperature. The masala was neither too strong nor too weak, and the aroma was equally pleasant. Our only issue though, was that the tea was a bit too milky, which was a bit of a put-off. 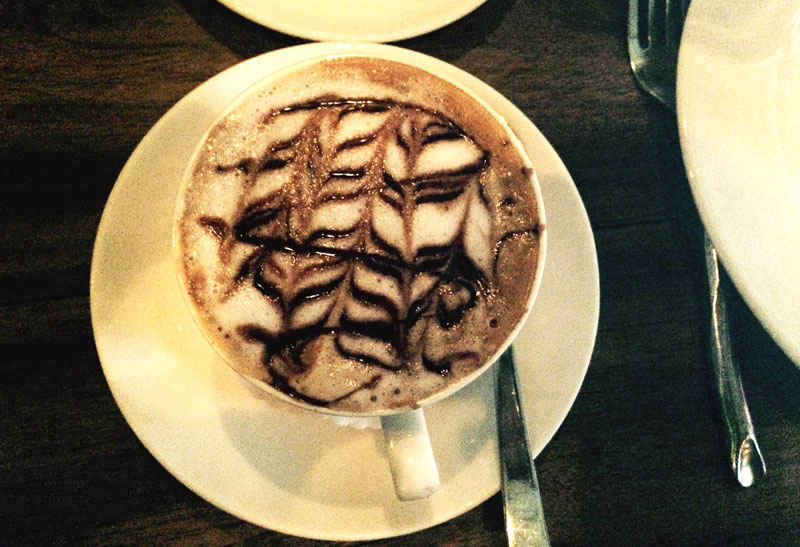 Now coffee is a must to ward off those mid-day blues, and while we were a bit disappointed with our first hot beverage, 38 Barracks soon redeemed itself with their Mocha! As soon as we were served our coffee, our senses were delighted with its pleasant aroma, its strong taste excited our taste buds in every sip, and by the time we'd finished our coffee (which didn’t take long actually), we were heartily energised! So we decided to end our feast with a chocolate delight, and delighted we were indeed! 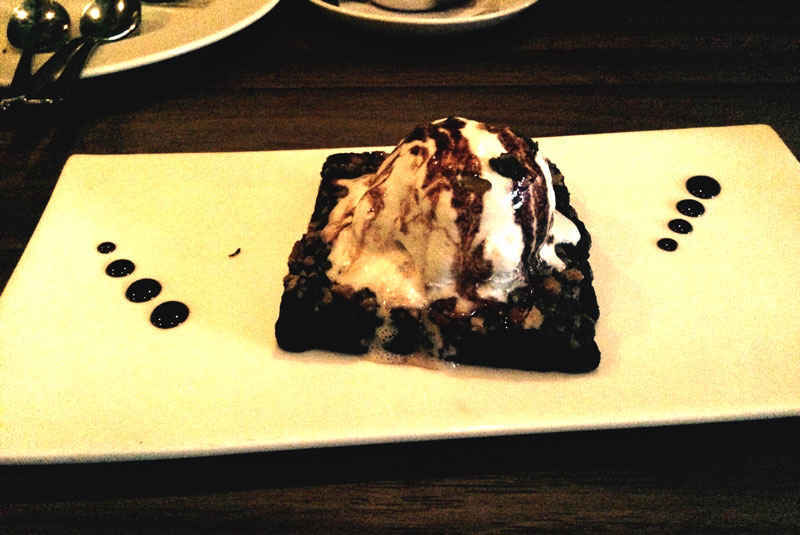 The dish had perfect amount of sweetness, the ice cream complemented the brownie well and the brownie easily melted in our mouth. It was soft and thoroughly baked. Basically, it was pure bliss! So there you go, people; it's no secret we enjoyed our time at 38 Barracks, and we strongly suggest this place to anyone who loves good food and our nation; so basically, every one of us! The place has an amicable ambience, great music (live! ), and amazing food. See you there?